OAK RIDGE, Tenn.—Leading U.S. graduate students and post-docs in the fields of chemistry and economics were chosen to attend the 67th Annual Lindau Nobel Laureate Meeting and 6th Lindau Meeting on Economic Sciences this summer. From Aug. 22 to Aug. 26, 18 outstanding U.S. graduate students and post-docs traveled to Lindau, Germany, to attend the 6th Lindau Meeting on Economic Sciences. In attendance at the meeting were more than 350 young economists from 66 nations and 19 Laureates of the Sveriges Riksbank Prize in Economic Sciences in memory of Alfred Nobel. ORAU sponsored the attendance of five participants at this meeting, and the National Science Foundation sponsored the remaining 13 participants. Throughout the week, top researchers presented studies on contracts, incentives and organizations, monetary and fiscal policy and the economics of inequality. Student and faculty participants presented their research as well, which Laureates reviewed and discussed afterward. The first Lindau Meeting on Economic Sciences was held in 2004 and continues to connect young researchers and Laureates every three years. "It was truly a one-of-a-kind experience to travel with other young economists to this Lindau meeting and learn from the Nobel Laureates,” said Clayton Masterman, a post-doctoral economics student at Vanderbilt University. “I am grateful for the opportunity to have heard perspectives on the future of economics from everyone who attended." Also this summer, 23 top U.S. doctoral students were selected to convene with 28 Nobel Laureates at the 67th Annual Lindau Nobel Laureate Meeting held from June 25 to June 30. These students were among more than 400 young scientists from 76 countries who traveled to Lindau, Germany for the annual meeting, which focused on chemistry this year. From these participants, ORAU sponsored seven chemistry students while another 16 were sponsored by the National Science Foundation, Lockheed Martin and the Cabot Corporation. During the five-day meeting period, students were given the opportunity to attend lectures given by the Laureates, participate in informal discussions regarding topics such as environmentally friendly antibiotics, DNA instability, and future game-changers in chemistry. 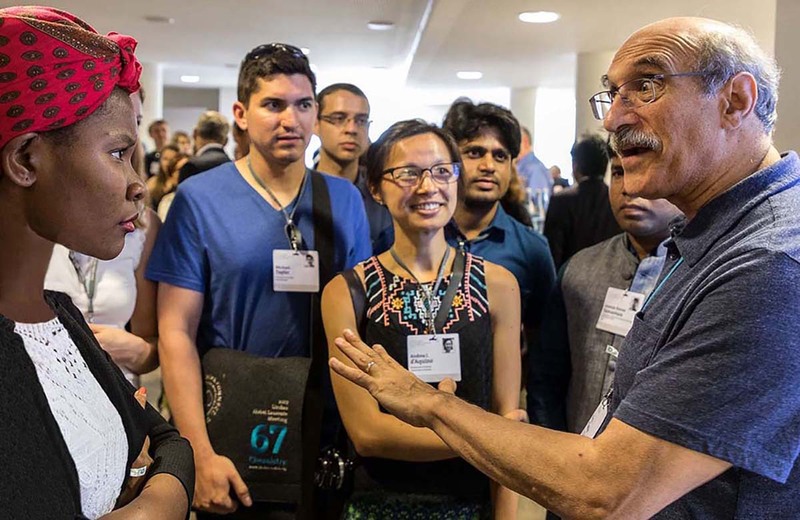 Since 1951, Nobel Laureates have annually convened in Lindau to have open and informal meetings with students and researchers from around the world. To attend the meetings, participants must pass a competitive application and selection process managed by ORAU’s University Partnership Office in conjunction with the Council for the Lindau Nobel Laureate Meetings. The call for student nominations for the 2018 Lindau Nobel Laureate Meeting in physiology and medicine is currently underway with a deadline of Sept. 29, 2017. For more information regarding the Lindau Meeting of Nobel Laureates and to view a list of attendees and their university affiliations, visit the ORAU-Lindau website.